Career training that is industry-specific means learning skills that are directly related to what the industry is looking for today. For instance, Everest’s medical assistant program is based on the skills currently in demand in the medical world. Students receive hands-on career training and are encouraged to develop the specific skills employers are looking for. This is as critical to Everest as it is to the students – our job doesn’t end at graduation. We are committed to placing our students in the fields they have trained for. We assist our graduates not only with finding the right job to apply for, but ensuring they have the skills they need — including how to interview and prepare a resume — to get the job they’ve worked so hard to prepare for. To learn more, visit our Career Services page on Everest.edu. If you’re an Everest student or alumni, we are proud of you for taking a big step toward following your educational dreams. If you’re an Everest employee/staffer, then we know you’re helping change students’ lives every day. Whether you’re connected to an Everest College, Everest Institute, Everest University or Everest University Online (a division of Everest University), we want to give you a chance to show off your school pride with a special Facebook Twibbon! What’s the “Everest for life” Facebook Twibbon? 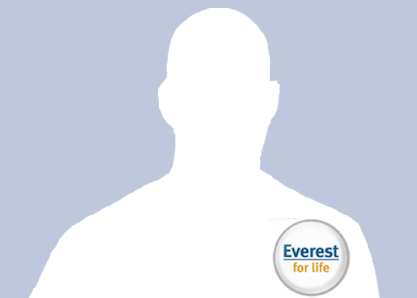 The “Everest for life” Facebook Twibbon is a small, transparent graphic that you can add to your Facebook Profile picture. It’s really easy to add and is a great way to show that you’re proud of your connection with Everest. How Do I Get the Facebook Twibbon? Click the big “Facebook Connect” button to add the Twibbon application to Facebook, then click on the Facebook “Allow” button to finalize. You should be back on the Twibbon.com page. On the left, you’ll see the preview section for the “Everest for life” Twibbon and how it’s positioned on top of your Facebook Profile picture. Resize the “Everest for life” Twibbon however you’d like by using the “Twibbon size” slider bar. Drag/drop the Twibbon into the desired position over your Facebook Profile picture. Edit the “Optional Message of support” if you feel like it, then click the blue “Show my support now!” button to finish. An update will automatically be posted to your Facebook Profile Wall and you should also see a new Facebook Photo Album called “Twibbons.” This will help your fellow Everest enthusiasts learn how to get their own “Everest for life” Facebook Twibbon! Did You Know Everest Is on Facebook? Kevin C,. MBA graduate from Everest University Online, tells us about his experiences with Everest.